Through Payroll Giving, you'll be helping to beat cancer by making a regular donation to Cancer Research UK. Payroll Giving allows you to give through your pay cheque - you won't pay any income tax on your donation and there's no need to hand over bank details. Payroll Giving is tax-efficient, easy and secure, and that's why it's the smartest way to give. Are you currently donating to charity from your pay? 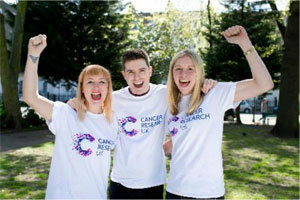 Enter the amount you would like Cancer Research UK to receive each pay day. 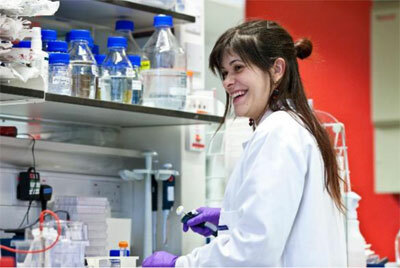 Enter the amount you would like Cancer Research UK to receive. If you don't want us to do this research in relation to you, you can tell us anytime by contacting 0300 123 3379 or preferences@cancer.org.uk. This is the amount that will be deducted from your gross pay and how much Cancer Research UK will receive from you each pay day. This is how much your donation costs you, i.e. how much you will be donating from your net, take-home pay. The data supplied will be stored and used by Hands On Payroll Giving and associated organisations to enable your donation to be processed and reach Cancer Research UK. Your details will be sent to your employer's payroll department and contracted Payroll Giving Agency. If required to process your instructions, your details will be passed to your employer's nominated Payroll Giving providers. The Payroll Giving Agency (a charity in their own right) may deduct a processing fee from your donation, this is between 25p and 4%, some employers pay this on your behalf, for further information call the helpline below. Your name and any contact details as specified above will be sent to Cancer Research UK to assist with tracking your donation. By submitting this donation you are confirming this is a tax-free donation through your employer's Payroll Giving scheme that will not be included on any personal tax returns.